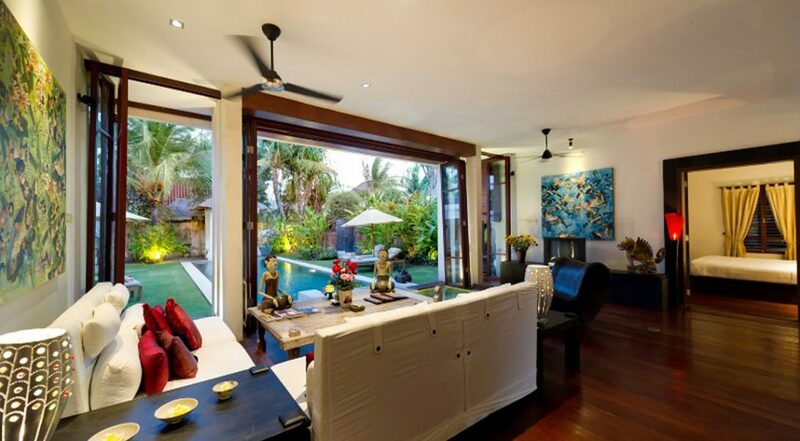 Beachfront luxurious Sanur villa - rent this today! 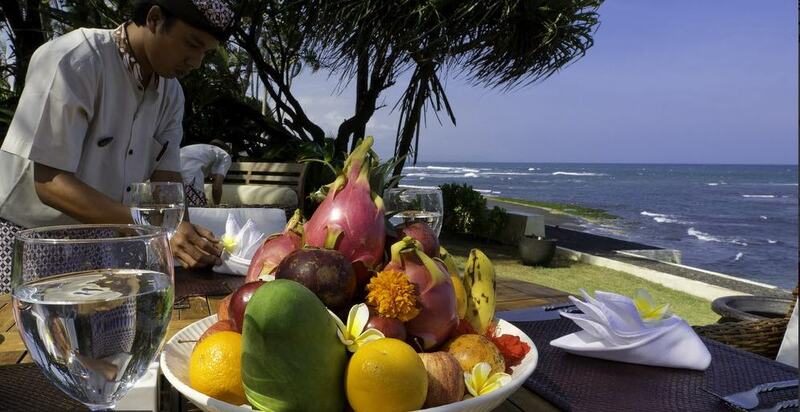 Villa staff to cook and clean for you – plus you even have your own private butler & chef! 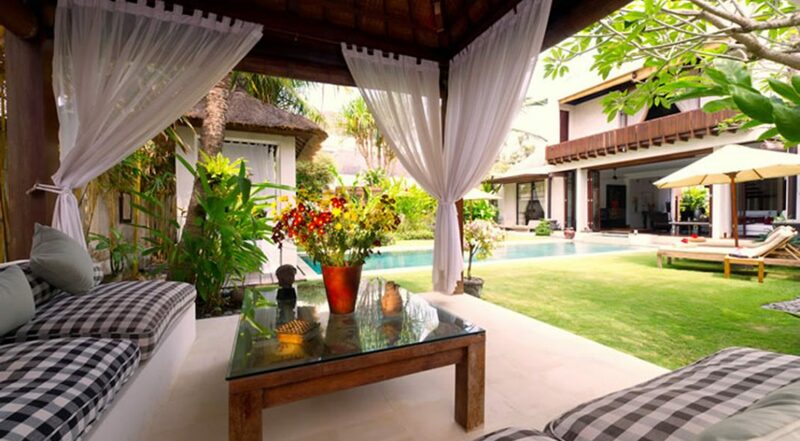 Villa Majapahit Raj is a stunning 3 bedroom Sanur holiday villa rental is located in the family friendly area of Sanur. 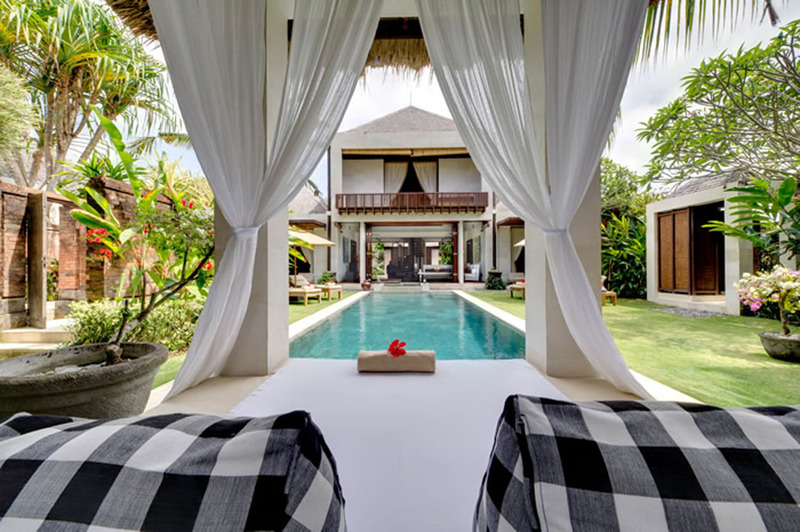 It is one of the three villas that make up the Majapahit villas and it is absolutely sensational. 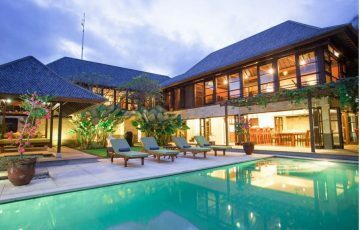 Villa Majapahit Raj can accommodate up to 6 guests, making it ideal for families or groups looking for a quiet tropical retreat to relax and have some fun, relaxation and enjoying this wonderful villa ambiance with friends & family. Your right on the water so the kids are going to absolutely love it here! 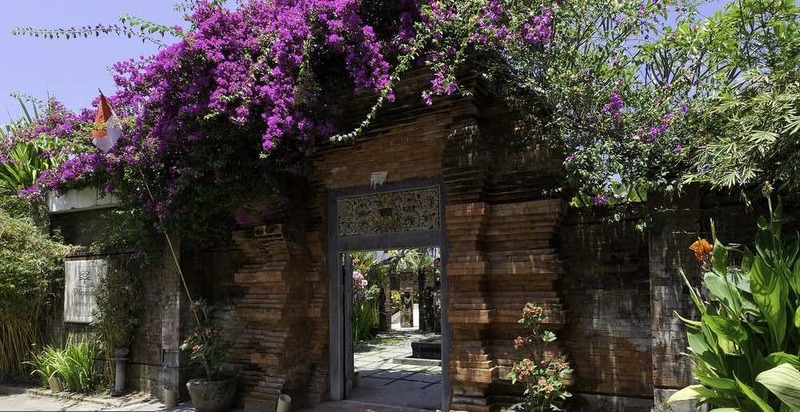 Entering into the compound of Villa Majapahit Raj, guests walk into a tropical paradise with lush gardens comprising of tall palm trees, exotic flowers, beautiful plants and shrubs. 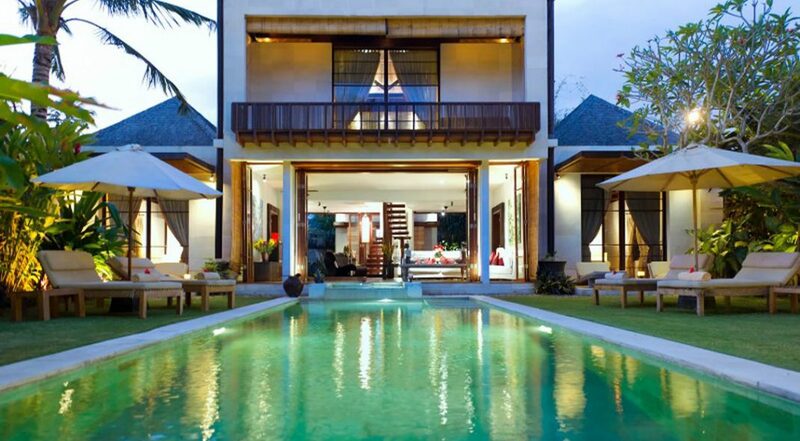 Right in the middle of the compound is a stunning 12m pool which is flanked by lush lawns. 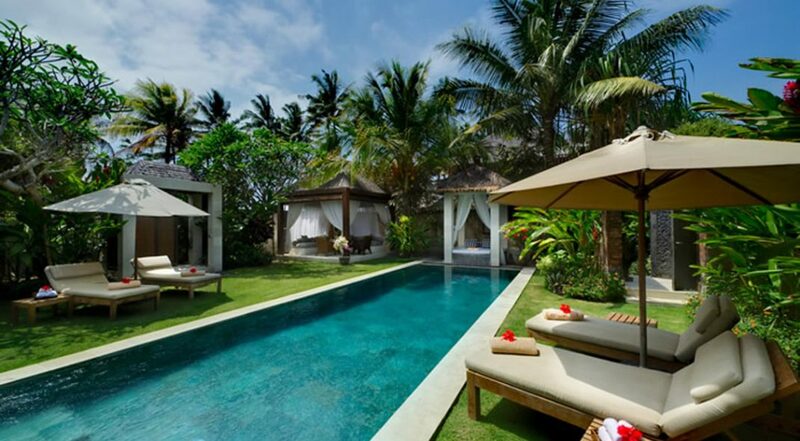 On both sides of the pool are lounge chairs, and at one end of the pool is a poolside bale. 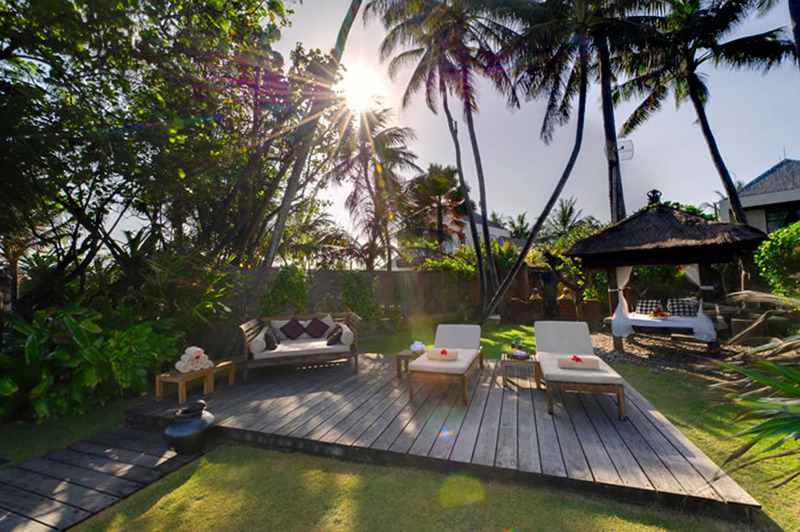 In a corner of the garden is a garden bale, so guests have a lot of options when they choose to relax and enjoy the beautiful outdoors of the villa. 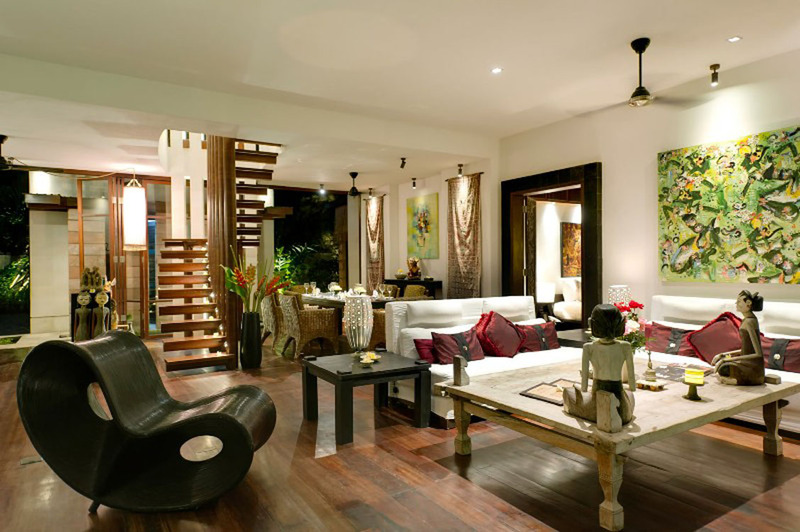 Villa Majapahit Raj has a stylish and elegant open plan living area. 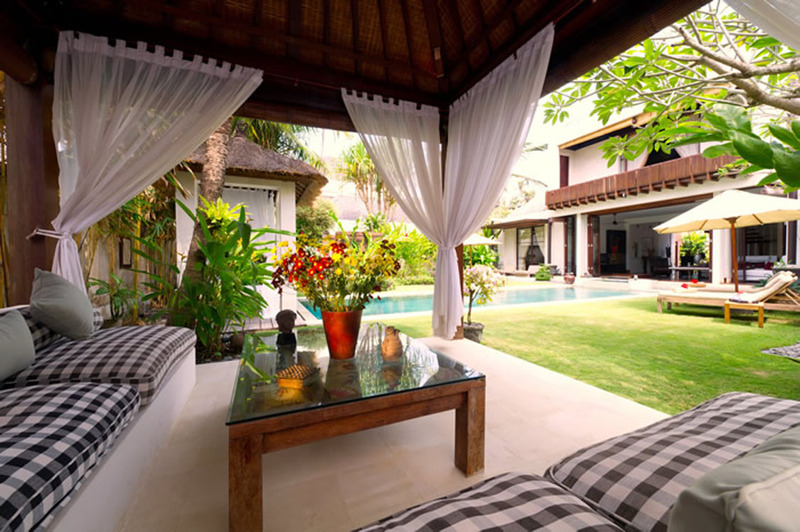 It is furnished with white sofas arranged to face the double bi-fold doors leading out to the pool and garden area. So guests can stay indoors and still enjoy the beautiful scenery of the outdoors. 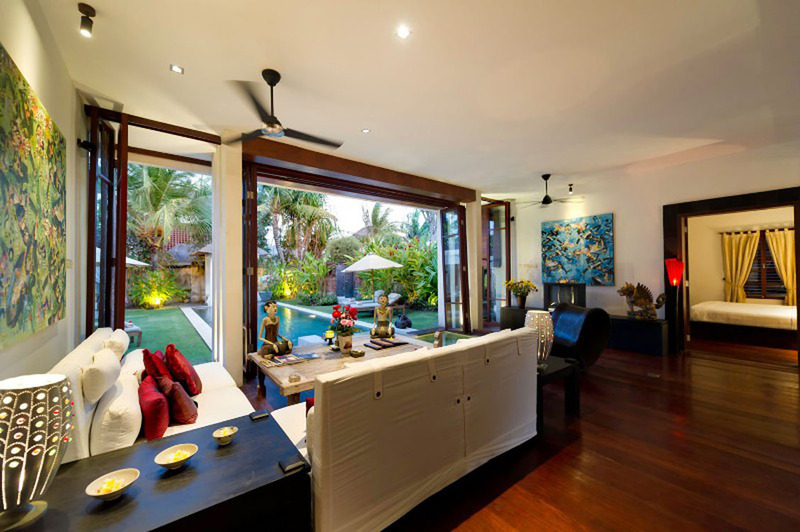 On the walls hang lovely paintings and lovely Balinese statues add to the allure and charm of the villa. 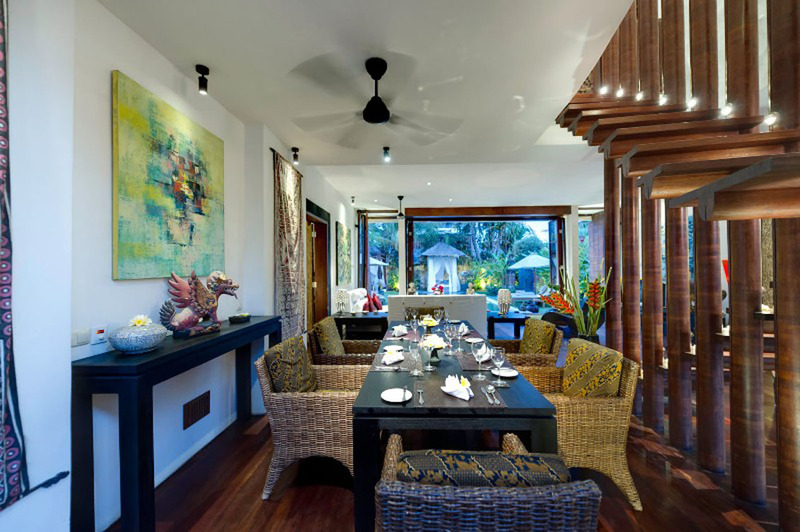 In a corner of the living room is a rattan dining set where guests can sit and enjoy delicious meals. 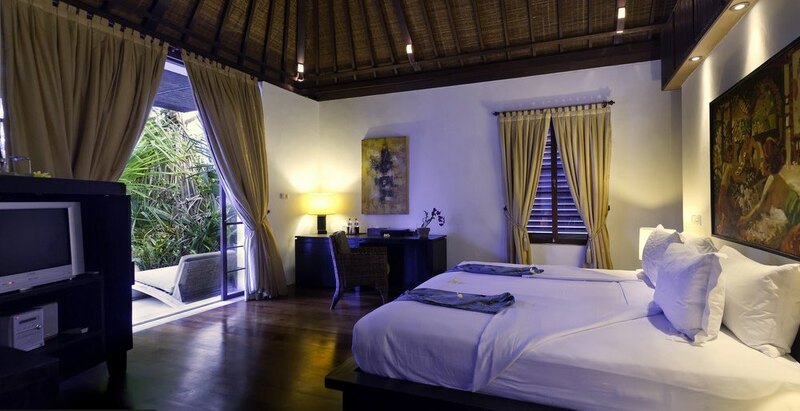 The three bedrooms of Villa Majapahit Raj are absolutely gorgeous. 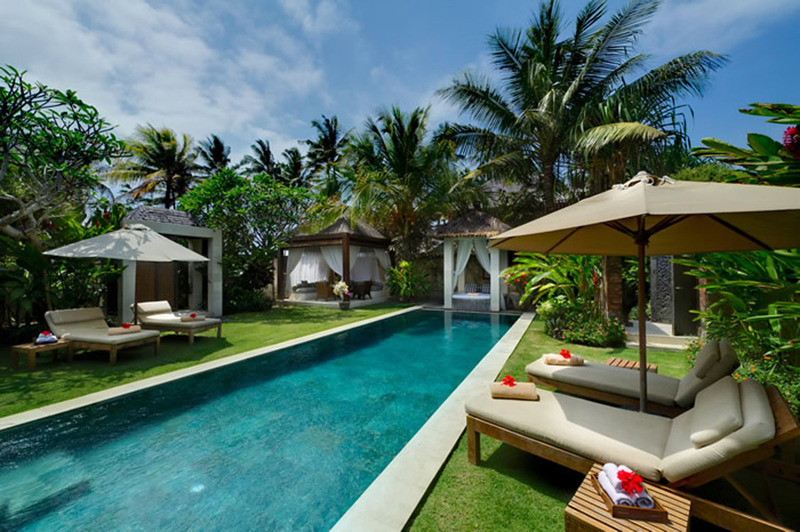 They are furnished with the unmistakable Balinese flair, style and luxury. 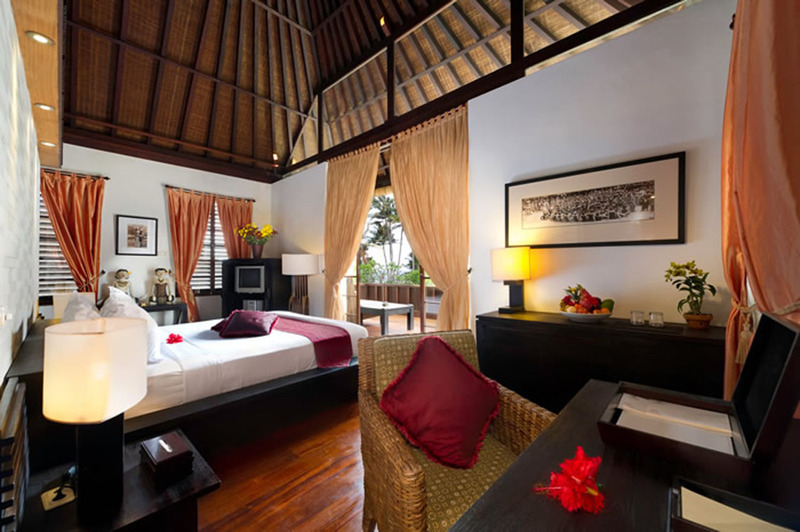 In each bedroom is a king sized bed, lovely paintings, a cozy chair and beautiful pieces of art. The bedroom upstairs has access to a private balcony, while the bedrooms on the ground floor have doors leading out to the pool area. 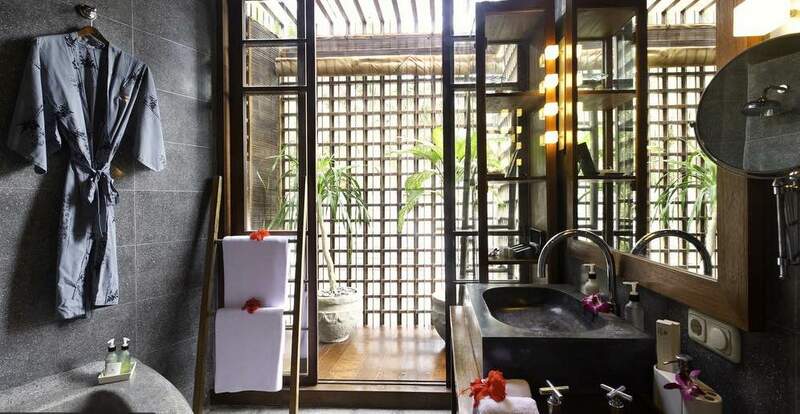 Guests will definitely be comfortable through their stay here as all bedrooms are ensuite. 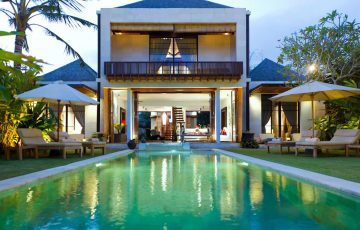 For the three Majapahit villas, there is a total of 6 butlers, 5 garden and pool attendants, 5 security guards, 2 masseuses and a babysitter can be provided on request. 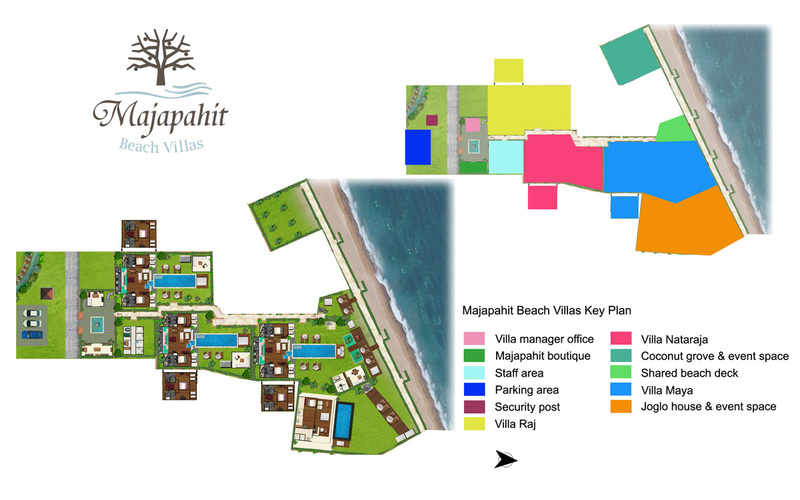 The staff is pleasant, efficient and committed to ensuring you have are completely pampered during your holiday. 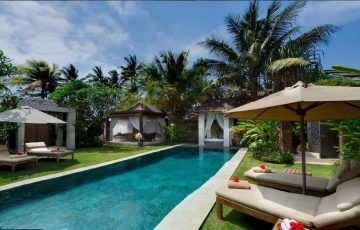 Villa Majapahit Raj is really close to the beach, so guests can enjoy leisurely strolls on the shores and watch breathtaking sunsets. Lots of fabulous cafes, boutiques, restaurants and shops are also within proximity of the villa, ensuring that guests have a fun filled, relaxing and easy going holiday. If you love surfing then the very famous Keramas beach is also really close by. 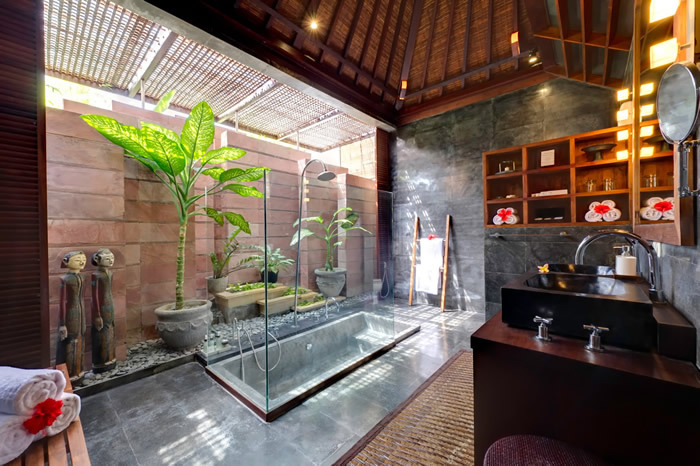 To view our full range of 3 bedroom Bali villas or other Sanur villas near the beach please browse this website or contact our reservation team. We really couldn't believe the villa when we saw it. It was so much better than we were expecting. The kids went absolutely crazy when they first saw the pool and we couldn't believe the size of the garden area. Plus it's right n the water. This is amazing value and worth it. Definitely coming back next time. 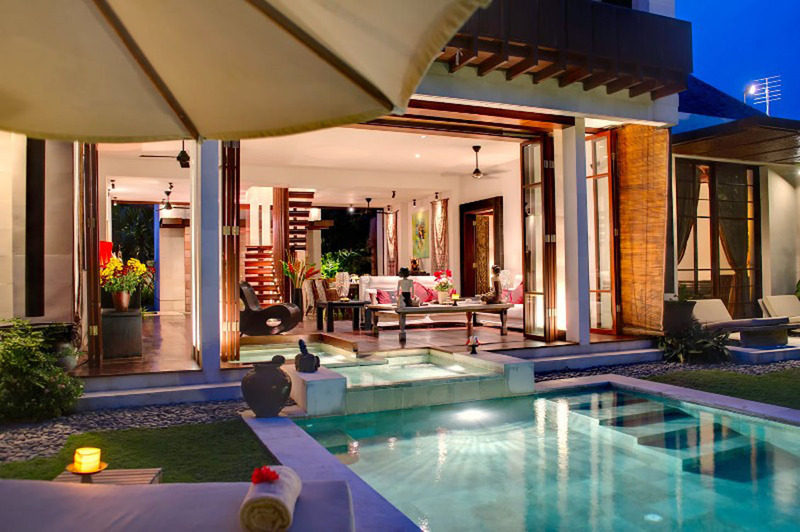 Modern villa with really courteous staff. 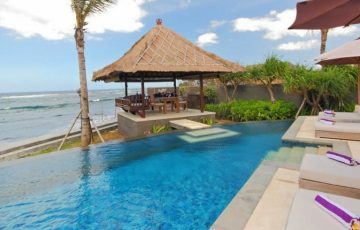 We generally stay in the Seminyak area of Bali but we thought we would give the east coast a try this time and see a bit of the Sanur area. Such a good choice.There is so much going on here. Plus it's a lot less hectic. Villa was immaculate and there was a real sense of calmness about it. What an AMAZING family holiday. Came here with hubby and our two teenage daughters who loved the place as much as we did. 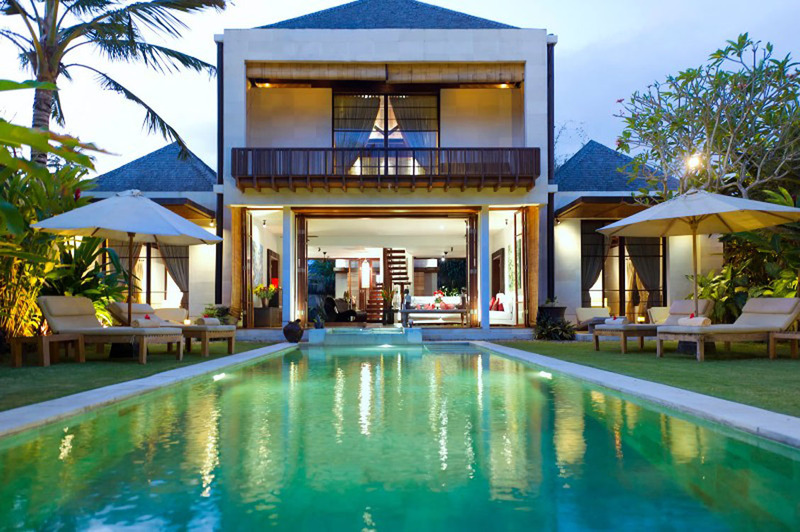 Am happy to recommend this villa and give it a 10 out of 10!! 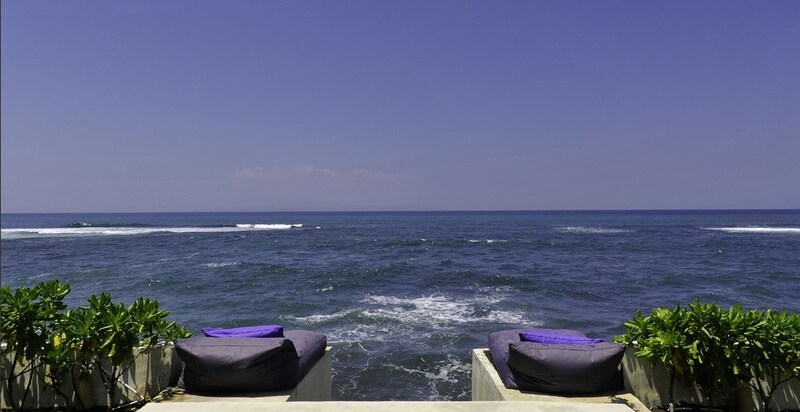 This is all about relaxation with the most amazing views and the best staff you will ever come across. 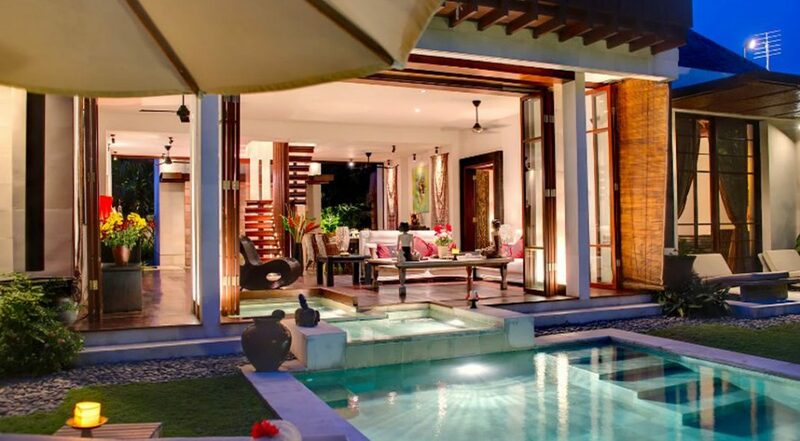 If you want to just chill out, then spend as long as you can at this WOW villa!!! 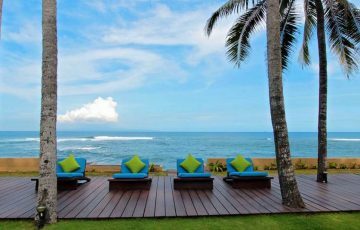 I love surfing so this was the best villa for me to base our family so I could go for quick day trips to Keramas which was close by. 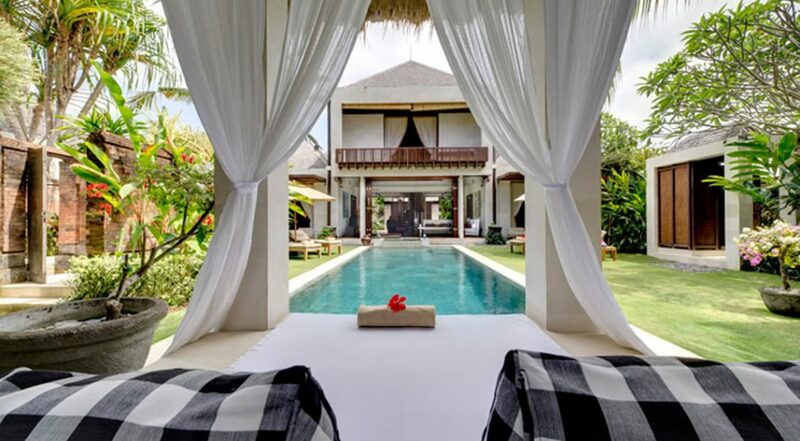 A lovely holiday villa made even better by the sensational location. Love Majapahit Raj so much. To all the staff I just want to thank you for a fabulous holiday. The kids are already asking me to take them back.